The Veins of the Ocean reminds us of all of the prisons we make for ourselves, and for each other: not just the horrors of solitary confinement for criminals, but those of guilt and shame, of heredity and expectations, of the sacrifices that we tell ourselves are necessary for our safety, of the artificial, but no less forceful boundaries between countries and cultures. And then Engel deliberately dismantles those walls, screw by screw, plank by plank, page by page. As they fall away, we hold our breath. The vastness of the world, the expanse of the boundless ocean, giving ourselves to another, they are risk and reward. They are freedom. But I digress. What you really need to know is that The Veins of the Ocean is an exhilarating love story, beautifully told. Reina Castillo is the alluring young woman whose beloved brother is serving a death sentence for a crime that shocked the community, throwing a baby off a bridge--a crime for which Reina secretly blames herself. With her brother's death, though devastated and in mourning, Reina is finally released from her prison vigil. Seeking anonymity, she moves to a sleepy town in the Florida Keys where she meets Nesto Cadena, a recently exiled Cuban awaiting with hope the arrival of the children he left behind in Havana. 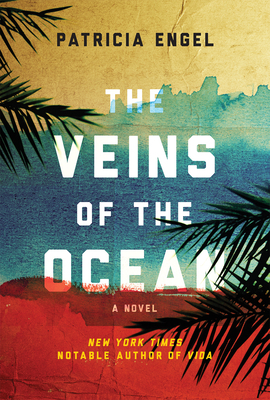 Through Nesto's love of the sea and capacity for faith, Reina comes to understand her own connections to the life-giving and destructive forces of the ocean that surrounds her as well as its role in her family's troubled history, and in their companionship, begins to find freedom from the burden of guilt she carries for her brother's crime. Set in the vibrant coastal and Caribbean communities of Miami, the Florida Keys, Havana, Cuba, and Cartagena, Colombia, with The Veins of the Ocean Patricia Engel delivers a profound and riveting Pan-American story of fractured lives finding solace and redemption in the beauty and power of the natural world, and in one another. Patricia Engel is the author of Vida, which was a New York Times Notable Book of the Year and a finalist for the PEN/Hemingway Fiction Award and Young Lions Fiction Award, and the acclaimed novel It's Not Love, It's Just Paris, winner of the International Latino Book Award. Her work has appeared in The Atlantic, Boston Review, A Public Space, Harvard Review, and Guernica, among other publications and anthologies, and received numerous awards including a 2014 fellowship in literature from the National Endowment for the Arts.